Dubrovnik provides an excellent blend of tradition, culture and religion, making it an ideal city to visit during the Easter holidays. On Palm Sunday, or the Sunday before Easter, olive branches and woven palm fronds, which are characteristic of the Dubrovnik region, are brought to churches to be blessed and Easter eggs are hand painted in the traditional way. The Dubrovnik Tourist Board has prepared a rich program for locals and visitors alike that will begin on April 1st on the main street of Stradun in the Old City. 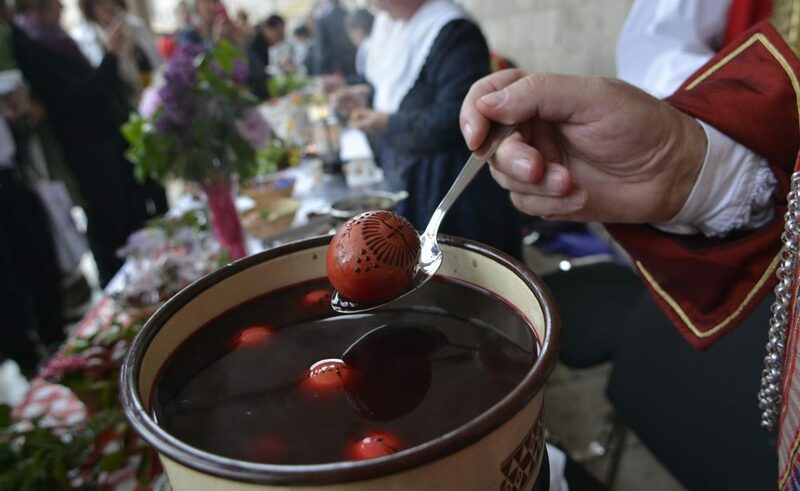 Accompanied by traditional klapa singing, girls in folk costumes will distribute traditionally hand painted Easter eggs (˝pengana jaja˝), along with a few words about customs during Easter time. Do not miss the workshop on the traditional hand painting of Easter eggs organised by the Dubrovnik Littoral Wedding Association which will be held at 10 am in front of the Sponza Palace. The spring event with a note of tradition will be held on the 7th and 8th of April 2018 at the Pond (˝Lovka˝) in the village of Mrčevo. The main part of the program features visiting traditional cultural arts groups from the Dubrovnik region and neighbouring countries. The Dubrovnik littoral region of Primorje is most well known for ˝penganje˝, a special technique for decorating Easter eggs in the old fashioned way, using hot beeswax, and for the Primorje Wedding tradition. 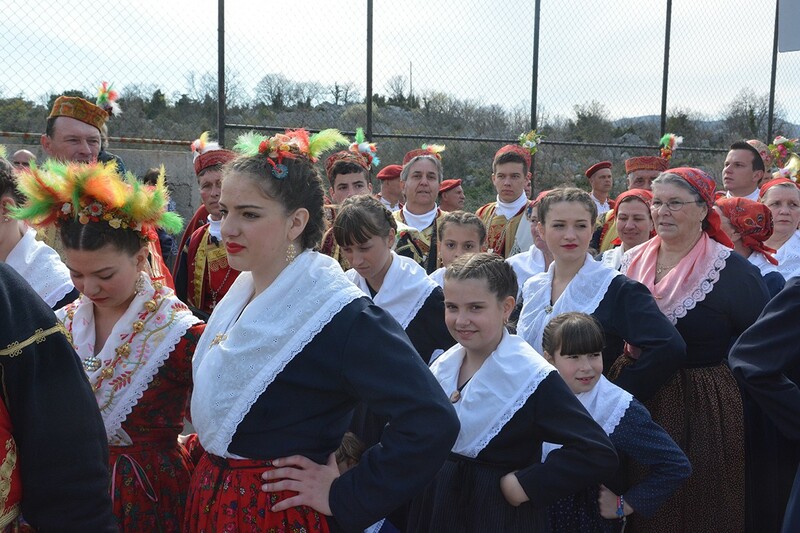 The international folklore event organised by the Dubrovnik Littoral Wedding Association will take place at the Pond (˝Lokva˝) in the village of Mrčevo on Sunday, April 8th, also known as ˝Little Easter˝, beginning at 3 pm. The event has become an international folklore and tourist attraction. Traditional cultural arts associations from Croatia and Bosnia and Herzegovina will perform and present their heritage and customs. There will be performances by the Dubrovnik Musketeers, the Cultural Arts Association (KUD) ˝Izvor˝ – Zaton Brass Band, the Dubrovnik Littoral Wedding Association – children’s group, the Folklore Ensemble ˝LINĐO˝ from Dubrovnik, the Cultural Arts Association (KUD) ˝Sveti Juraj˝ from Osojnik, the Cultural Arts Association (KUD) ˝Stjepan Radić˝ from Pridvorje, the Cultural Arts Association (KUD) ˝Ponikovska poskočica˝ from Ponikve, the Cultural Arts Association (KUD) ˝Linđo˝ from Ošlje-Stupa, the Croatian Cultural Arts Association (HKUD) ˝Fra Petar Bakula˝ from Posušje, and the hosts, the Dubrovnik Littoral Wedding Association. During the two days of the Easter in Primorje event, along with the folklore event, other various events will be featured, from tastings of the special gastronomic offers in rural farmsteads, presentations of old tradecrafts, concerts of klapa multipart singing groups held in cooperation with the Aklapela Festival, races organised by the Dubrovnik Triathlon Club, the sale of autochthonous local products and a flower fair, as well as expert-guided walking tours along the old Napoleon road between the villages.